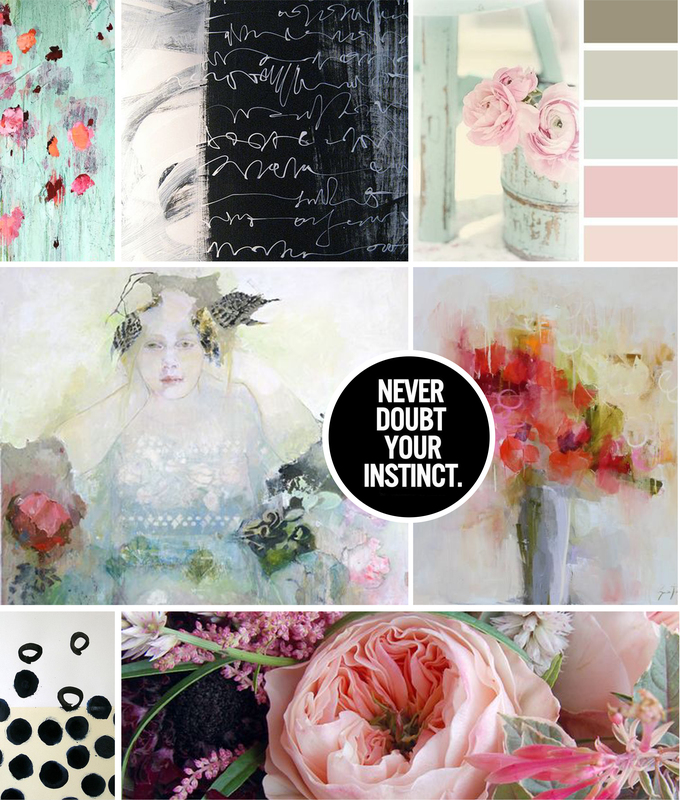 One of the fun ways to collect ideas before starting on a project is to make a mood board. A mood board is a collage of images and/or text that is put together either digitally or physically that helps the artist set the mood or keeps the artist focused on a set of ideas. I personally like to create mood boards from the images I collect on Pinterest. Like organizing my thoughts, they help keep me focused as I practice skills and build a color study. For me, each image represents a skill or part of a skill I would like to hone in on. Once I feel i have created a successful collage, I hang it in my studio as a reminder to keep me focused and on task. As I transition from one focus to another I will edit and/or change the board as needed. The collected images in this board were assembled to remind me to stay loose and inspire my color palette. Whether my specific subject is florals, figures or abstract, i want to keep a consistent color palette, and flow to my brushwork. Many times circles and script find their way into my work and by including them in my mood board i am reminded to keep those a consistent element as i work. As for the quote, i try to always include words of encouragement in my boards...words that set the tone for a body of work i am working on. Over the next few weeks, i will be using this mood board as inspiration and i will be sharing some finished pieces that were inspired by my collage. 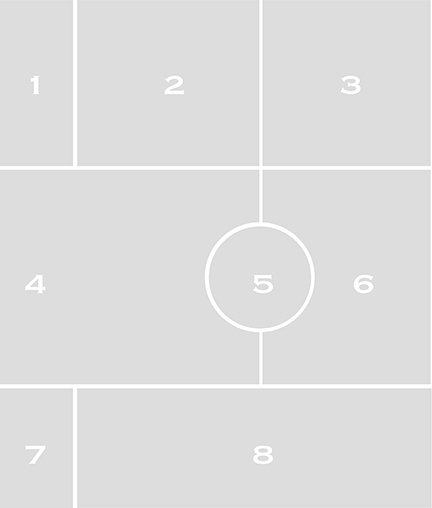 I am including a FREE download of my own personal mood board template!!! The download comes with step-by-step instructions on how to create a digital moodboard and you will be surprised just how easy it is!